As stated yesterday, every city has its creative center, and South Side, now with its own zombie walk, may very well be the Pittsburgh’s long sought source of talent for job growth in the knowledge economy. 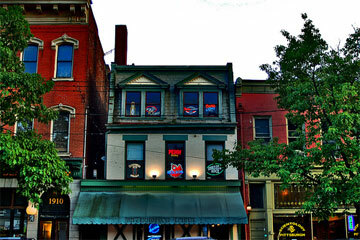 – Home to more restaurants and bars than any other neighborhood, with up to 80 watering holes in the area. That’s a lot of conversations, the basis of economic growth according to the Cluetrain Manifesto. – Connected to three large universities and the downtown via accessible mass transit. – Historic, walkable Europeanesque urban fabric. – Diversity and acceptance – known by locals as catering to both kinds of blue hair – grannies and Goths. – Performance artists like , a young circus troupe whose practices are open to the public. – Artist collectives, like The Brew House, featuring galleries, apartments and performances. – Late-night events like Soulcialism, a highly acclaimed monthly rave blasting soul music (excuse the french in this review). Check out their entertainment guide – this is just scratching the surface, and apparently, so is Pittsburgh as far as its progression into the knowledge economy.